March 18, 2019 March 18, 2019 Abby H.
I need a new phone. Like whoah. Somehow Gazelle knew, and they sent me an email with some really great deals. For the record, I have an iPhone 5s, and it’s almost 4 years old. The battery drains from 100% to dead in less than 3 hours. Yeah. It’s time for a new phone. Thankfully Gazelle has the hook up! *These costs are representative of March 2019. Pricing subject to change dependent on inventory available. And starting tomorrow: Get $20 off All iPads, iPhones, Galaxys, & Google Plus Phones at Gazelle! I’m going to start shopping tomorrow morning! 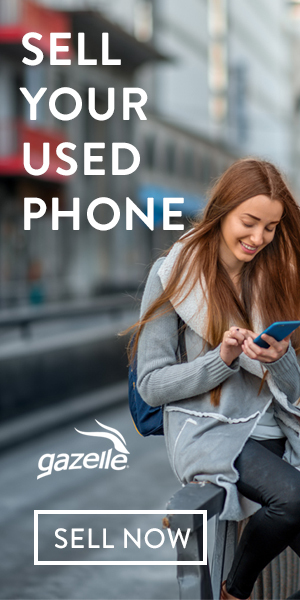 Gazelle Rewards: Earn More For Your Old Phone! October 22, 2018 October 21, 2018 Abby H.
**This post contains affiliate links and I may be compensated if you make a purchase after clicking on my links. Gazelle has recently launched the Gazelle Rewards program so that customers can get even more money for trade-in devices! I’m pretty excited about it because I need a new phone like whoah. My phone is 3 years old, and it’s starting to not hold a charge for long along with a few other things. But, I’ve kept it in an Otter Box, so it’s in really excellent shape. Step 1. Sign up for Gazelle Rewards by creating an account and opting into the loyalty program. If you have an existing Gazelle account, log in and opt into the loyalty program through the Rewards Dashboard. Step 2. Sell your devices to rake in points. Step 3. Redeem your points to add $5, $10, $20, $50 or $100 to your next trade-in payout from Gazelle! I’ve sold two of our old phones to Gazelle. I like that our old technology isn’t relegated to a junk drawer or ending up in a landfill. Trade-in Your Old iPhone and Earn Cash with Gazelle! February 27, 2018 February 26, 2018 Abby H.
Have an old iPhone that you’re no longer using or that you want to upgrade? Trade it in for cash at Gazelle! I’ve done it now three times and it’s a super simple process! 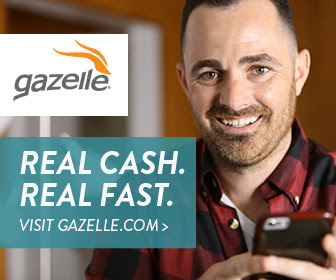 Gazelle makes it so easy to trade-in used iPhones and other smart devices for cash. In fact, it can be done in three easy steps. • Step 1: Select your iPhone from a list of options on Gazelle’s “Trade-In” page. Simply answer a few questions and Gazelle will provide you with an offer for your device. • Step 2: For items worth $1 or more, it’s free to ship your device to Gazelle. Once your trade-in is received, the device is inspected to make sure its condition matches your evaluation. • Payment: If the device matches your description, Gazelle will pay you in the form of a check, an Amazon.com gift card, or via PayPal. Payment takes about a week once Gazelle receives your device. No other company does as much to help consumers sell their used iPhones or purchase high-quality, gently-used devices as Gazelle. Trade your old iPhone in for cash today! January 18, 2018 January 17, 2018 Abby H.
I am not what is referred to as an early adopter of technology. I held onto my flip phone until about 2 1/2 years ago. Seriously. My Flip Phone didn’t even have a camera. Now that I have smartphone, I don’t know what the hell was wrong with me. My phone does everything! My purse is a lot lighter now that I no longer carry a planner, memo pad, and a few dozen pens with me. I also carry a lot fewer coupons too. This is just the first page of the Money Saving screens. I have one other that’s mostly grocery store apps (Ralphs, Food4Less,), and also apps like Shopkick. What I love is that a lot of these apps can be used together, and with paper coupons in some cases. I recently posted about Dosh. I love that I was able to take advantage of a 10% cash back offer from Denny’s through Dosh, after I had used a $5 off coupon in the restaurant. Then I uploaded the receipt to Receipt Hog to earn points (that I redeem for cash sent to my paypal account), and there was a Cash Dash offer of 2% back. My full list of Smartphone apps can be found here. In addition I use my talk to text multiple times a day. I also have “Hey Siri” enabled, so she can send texts, take notes (frequently ideas for posts or articles), and answer stupid questions while my hands are occupied. I do a lot of work while I’m driving. Siri is like the secretary I’ve always wanted. I’d like to think that I am more productive with my phone- and my hands free phone holder.